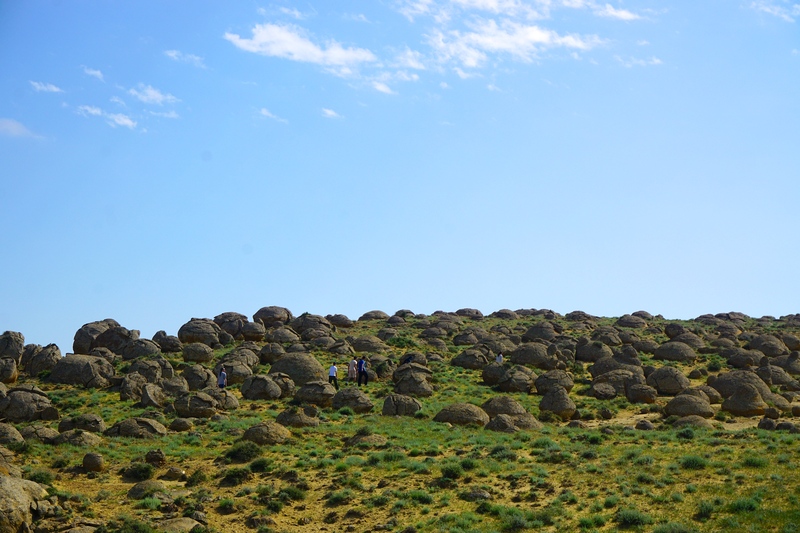 Traversing the “Valley of Balls.” It is not yet known what caused these rock formations. 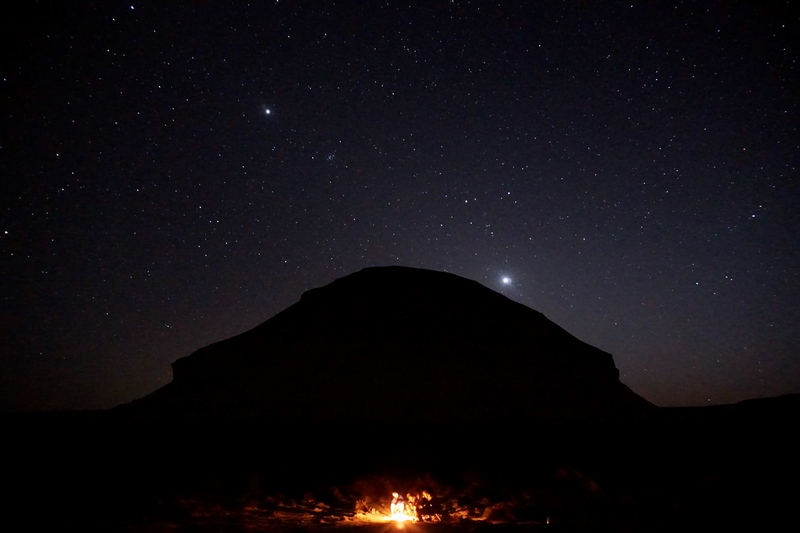 The perfect place to set up camp. As I’d pointed out the first time I came out here last year, this rocky terrain is littered with lifeless remnants of the animals that used to call this place home. So many bones reflecting such biodiversity, just lying on the surface. 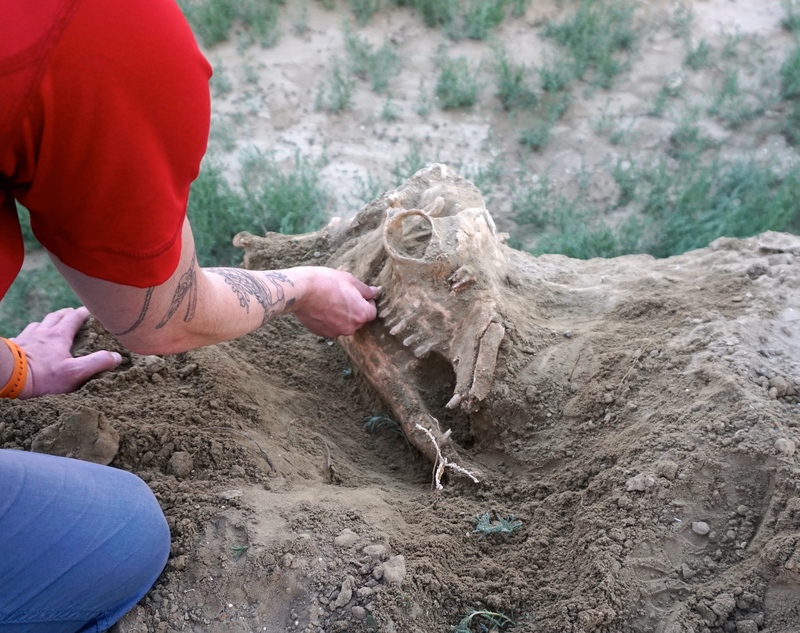 This year, though, I found a subsurface skeleton, teaching an important lesson in taphonomy. Taphonomy (“burial law” from Ancient Greek) is the study of what happens to an animal’s remains from the moment it dies to when it is discovered eons later. 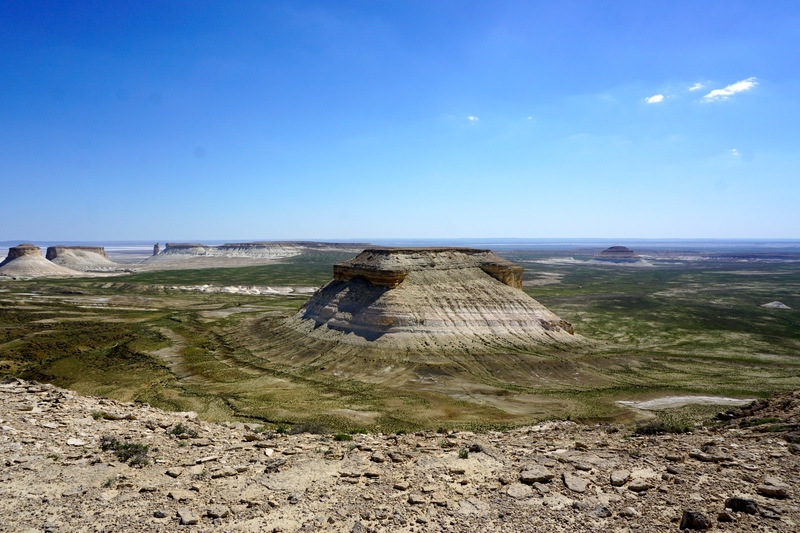 This field examines geological and ecological processes that determine whether fossils are found intact or smashed to smithereens. Waist-deep in mud. One vertebra is clearly visible, and to its right, beneath a rock, are the spinous processes of two more vertebrae. Notice the differently colored stripes of soil – these are different layers (“strata”), reflecting different periods that soil was laid down on the earth. Died doing a misguided impression of an ostrich. On the left you can see the back of the skull and the first cervical vertebra, then the spine submerges and reemerges to the right. Sure enough, this once complete carcass was drawn and quartered, pulled apart by the liberal application of time and life-saving water. Digging out the skull on the west bank, right across from the lumber spine on the east face (circled). Getting our hands a little dirty, we found the face of a camel. 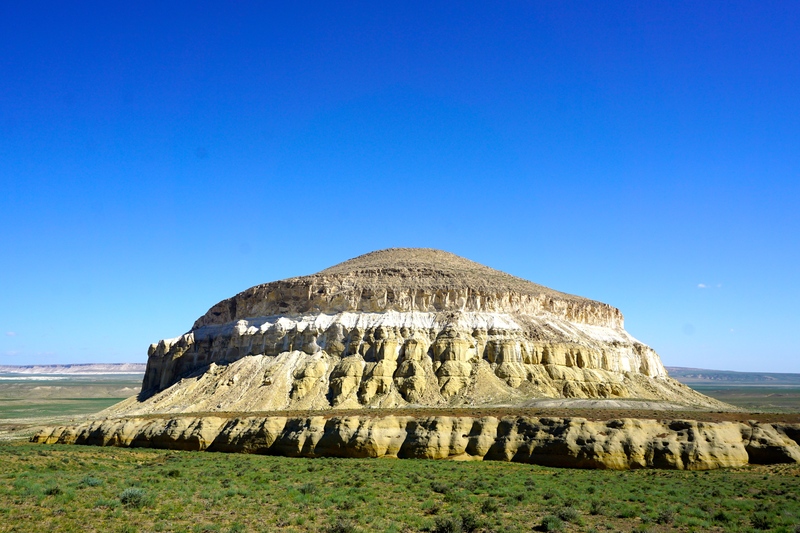 It is hard to say how long ago it lived, how long it took to get buried by a few inches of dirt, but I would guess at most only a few decades (but I’m not a geologist, so who knows). 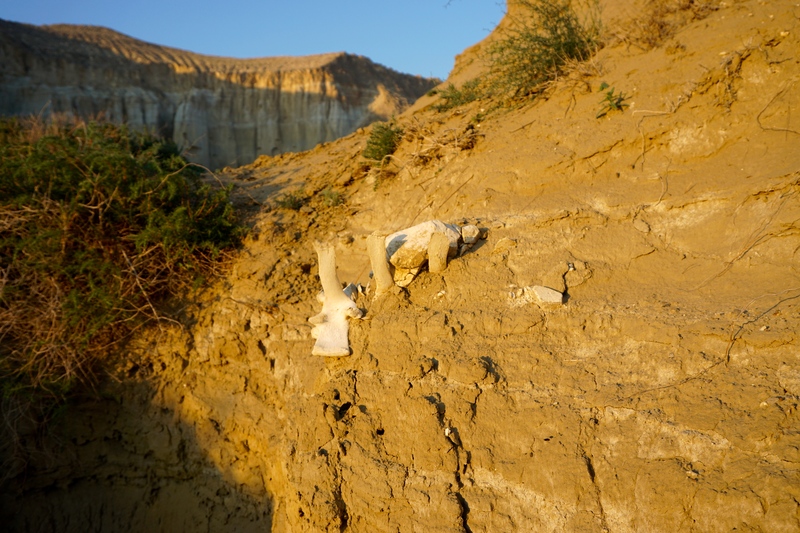 It’s also unclear how this animal was bifurcated: Did the camel die and get covered over with soil, and then later a newly forming stream carried away the soil harboring its torso? Or did the carcass lie on the ground unburied for a while, its torso slowly picked apart or trampled, and then the stream formed? 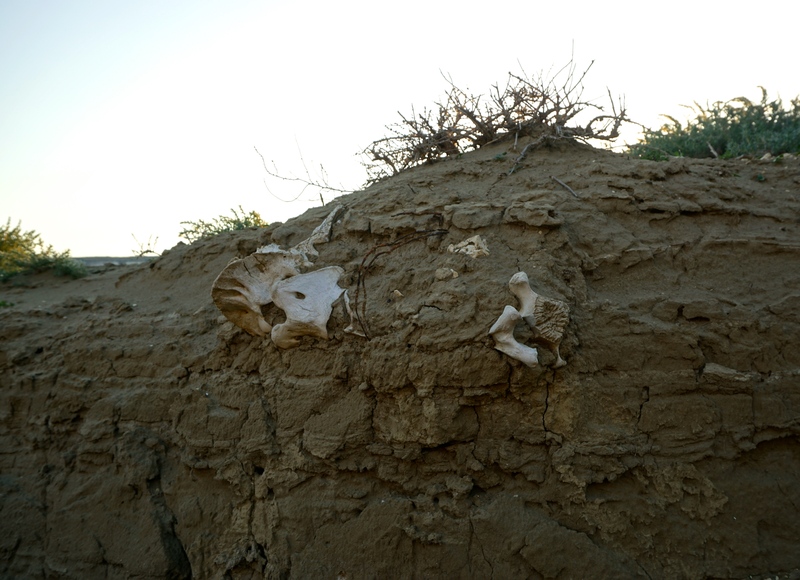 I would guess the first scenario is more likely, since the bones seem to run through several strata. But again I’m not an expert in taphonomy so I could be wrong. People often wonder why the fossil record isn’t more complete, and why we get so excited about the discovery of even partially complete skeletons. This camel demonstrates one of myriad taphonomic processes, one of the many ways that earth, water and time conspire tear the past asunder. Are the balls sandstone? They look like Rock City in Minneapolis Kansas! I honestly don’t recall. But, I believe both places were seas millions of years ago, so I wouldn’t be surprised if the same processes made the balls in each.